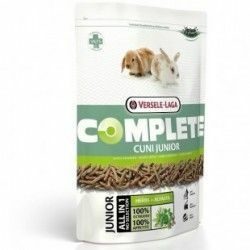 The I think Complete Cuni Adult of Versela Laga this is a I think ideal for the proper feeding of our rabbit. 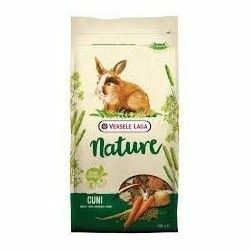 Elaborated to base of healthy ingredients and natural that will bring many benefits to our rabbit. 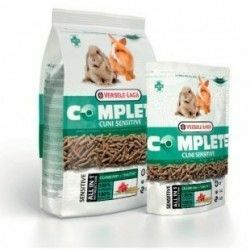 All this in a feed in extruded, so that our pet will not be able to select the ingredients, obtaining the advantages and properties of all of them. 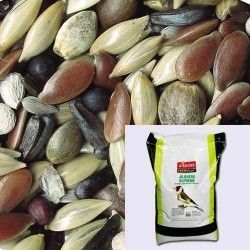 - NO cereals: and therefore WITHOUT a high content of starch and sugars, are harmful for our pet due to the alteration of the pH of the cecum (key organ in the digestion of the rabbit). - With a high content of long fibers: these are essential in your digestion. 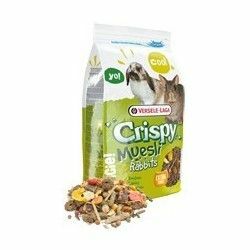 Help the transit in digestive tract and are essential for the health of our rabbit. - Take care of the intestinal flora of our pet. In rabbits, this is something that is essential for their digestion. - His form in extruded maintains your teeth care. Favor the predictable wear and in perfect condition of these. - Helps prevent bad odours. - In addition, it contains essential vitamins and nutrients. With herbs, carrots, and a high variety of ingredients. Provides a diet healthy and varied. A feed of the highest quality for the feeding of our pet. Remember that I think will complement the diet, which must be based mostly in hay. 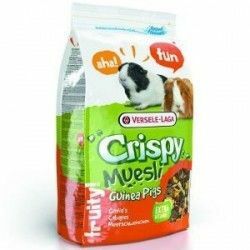 Take care of your pet in the most tasty and healthy!. Analytical constituents: protein 14%, fat content 3%, crude fiber 20%, crude ash 7%, calcium 0,6%, phosphorus 0,4%. Composition: by-products of vegetable origin (10% of timothy meadows, grasses and herbs), minerals, fructo-oligosaccharides 0,3%, marigold, yucca. Nutritional additives. Vitamin A, D2, E,C, E1 (iron), E2 (Iodine), E4 (Copper), E5 (Manganese), E6 (Zinc), E8 (Selenium),Antioxidants. 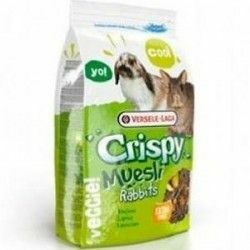 Description: I think especially suitable and recommended for our rabbit. With the proportions appropriate for a healthy and balanced diet. I love it!. 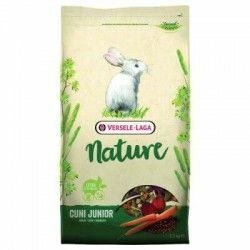 Food Rabbits Dwarf Food for rabbits, dwarf processed with a careful selection of seeds of the best quality for your pet to have a complete and balanced diet.